The Funky Felter: Yay! I made Etsy's front page!! Yay! I made Etsy's front page!! 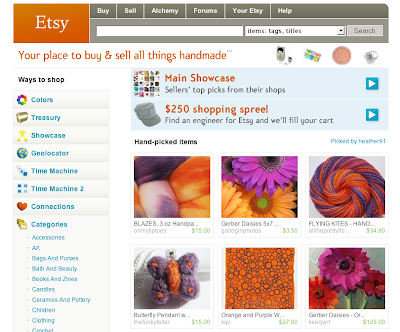 I just realized that my little needle felted butterfly pendant made it to the front page of Etsy tonight. Of course, I had to share it with everyone! I've only been on their front page one other time so it is a rare and special occasion worth celebrating. Yea! Congratulations, you deserve the recognition.